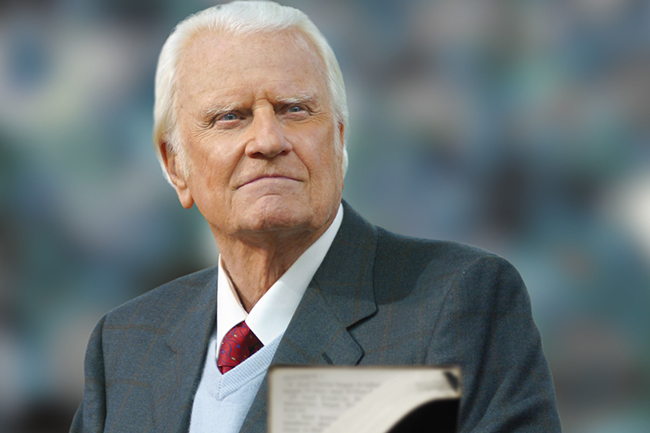 Billy Graham will have a distinction shared with only three other private citizens in U.S. history: he will lie in honor in the U.S. Capitol Rotunda. Graham, who died Feb. 21, will lie in honor Wednesday, Feb. 28, and Thursday, March 1, before he is laid to rest in his hometown of Charlotte, North Carolina, on Friday, March 2. His pine plywood casket, constructed by inmates at Louisiana’s Angola Prison, will rest on a platform built hastily after the assassination of Abraham Lincoln in 1865. The platform will be covered with a black cloth similar to the one used when Lincoln lay in state. Civil-rights hero Rosa Parks, who died in 2005, was the most recent private citizen to lie in honor at the Capitol. The two others who bear this distinction are Capitol Police officers Jacob Chestnut and John Gibson, who were killed in the line of duty in 1998. Last week, House Speaker Paul Ryan and Senate Majority Leader Mitch McConnell sent a letter to Graham’s son Franklin to formally ask for his approval to move ahead with arrangements for the public memorial. “As soaring a figure as he was, Rev. Graham connected with people on an elemental level,” wrote Speaker Ryan in a statement issued shortly after Graham’s death. The rotunda will be open to the public from approximately 1-8 p.m. Wednesday, Feb. 28. Graham will continue lying in honor until 10 a.m. Thursday, March 1. “Lie in honor” ceremonies are typically for those who have not served in elected office. “Lie in state” ceremonies, which include bestowing posthumous full military honors, are reserved for deceased presidents and other elected officials. Congress can either give leadership approval or pass a resolution for a “lie in honor” memorial after conferring with survivors. In Graham’s case, the ceremony was announced after Speaker Ryan and Majority Leader McConnell obtained approval from Franklin Graham. On Friday, Feb. 23, the House agreed to a resolution and sent it to Senate for approval. Graham counseled 12 consecutive presidents, delivered prayer at four presidential inauguration ceremonies—for Richard Nixon (1969), George H.W. Bush (1989), and Bill Clinton (1993, 1997)—and has been present at multiple National Prayer Breakfasts. “Beyond his achievements as a preacher and counselor to presidents, Rev. Graham will be remembered as a devoted husband to the late Ruth Bell Graham and a loving family man,” wrote Speaker Ryan in his statement.